VIENNA, Va., Feb. 12, 2015 — U.S. Rep. Frank Guinta (N.H.) today recognized the 2015 National Court Reporting & Captioning Week, Feb. 15-21, in a floor speech at the U.S. House of Representatives. 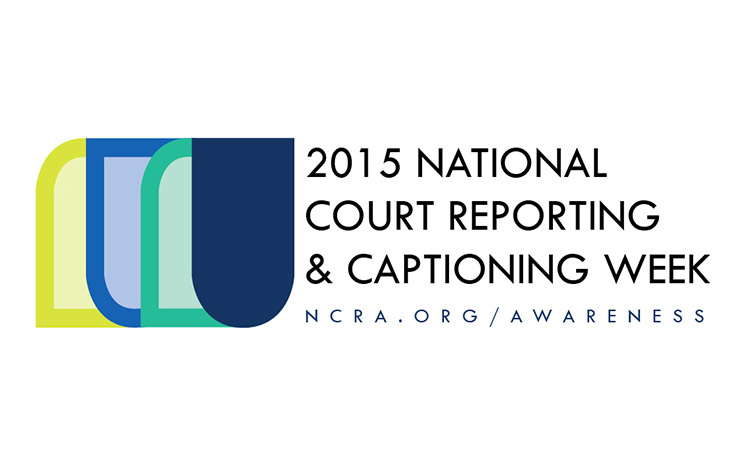 The national celebration is sponsored by the National Court Reporters Association (NCRA) the country’s leading organization representing stenographic court reporters, broadcast and CART captioners, and legal videographers. The event is designed to highlight the contributions of stenographic court reporters and captioners to society and to showcase the growing number of career opportunities that exist in the court reporting and captioning fields. In his remarks, Rep. Guinta thanked the hundreds of court reporters and captioners within his home state of New Hampshire, as well those working in the profession across the country. Citing the scribes who were involved in the Continental Congress and the drafting of the nation’s Declaration of Independence, capturing the record has been a pillar of America’s Democracy, he said. Rep. Guinta also recognized his own parents, who have been part of the court reporting profession, as well as Michele York, RMR, who serves as an official court reporter of the U.S. House of Representatives and is a member of NCRA’s Board of Directors.